In December, we published a list of the top 10 utility regulation trends of 2017. With half of 2018 already in the rearview mirror, we check in on the top public utility commission (PUC) actions and trends so far this year. Not surprisingly, the challenges PUCs are grappling with are diverse: moving toward a cleaner grid, adopting foundational electric vehicle policies, investigating utility business model reforms, exploring the integration of new technologies such as energy storage, and increasing customer choice when it comes to sourcing their energy, just to name a few. Without further ado, here is a status check on the top 10 matters before PUCs in 2018 so far. 2018 has continued the trend in recent years toward a cleaner grid, with more utilities announcing coal plant retirements and large investments in renewable energy. In the first quarter alone, there has been over $10 billion of new investment in renewables. Large investments have largely been driven by falling costs, strengthened state energy and environmental policies, and increased desire from customers for 100 percent renewable energy offerings. 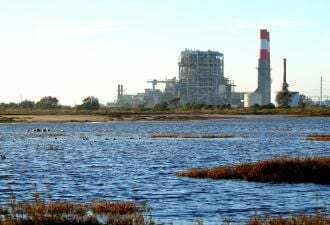 In February, the California Public Utilities Commission adopted a reference system plan that the state’s load-serving entities will use to file their integrated resource plans (IRPs) by August. With the plans intended to optimize the utilities’ portfolios of resources to reach a variety of public policy goals — most notably the goal of reducing economywide greenhouse gas emissions 40 percent from 1990 levels by 2030 — the reference system plan outlined a portfolio of new resources by 2030 that consisted of 63 percent solar, 22 percent energy efficiency, 9 percent storage, and almost 4 percent wind resources. In March, the Virginia State Corporation Commission approved Virginia Electric and Power’s (Dominion Energy) 2018 to 2032 IRP, which included, among other things, the development of at least 3,200 megawatts of solar by 2032 and 12 megawatts of offshore wind as early as 2021. In a similar vein, the Idaho Public Utilities Commission in April accepted Rocky Mountain Power’s (PacifiCorp) 2017 to 2036 IRP, which called for 3,500 megawatts of coal retirements through 2036; 1,100 megawatts of new wind and 905 megawatts of upgraded/retrofitted wind resources by 2020; 859 megawatts of additional wind generation after 2020; and 1,040 megawatts of new solar by 2036. In March, the Arizona Corporation Commission (ACC) voted down the utilities' IRPs on the grounds that they over-relied on natural gas without adequate price sensitivity analyses. Then the ACC opened a new proceeding in May to amend and review Arizona's current resource planning and procurement rules and align them with Commissioner Tobin's proposed 80 percent by 2050 Clean Resource Energy Standard and Tariff. This summer has seen several noteworthy announcements as well, most notably in Michigan and Colorado. In June, Consumers Energy Co. in Michigan filed an IRP out to 2040 that calls for 6,350 megawatts of solar (including 5,000 megawatts by 2030), 450 megawatts of energy storage, and the retirement of two coal units by 2023 and another two by 2031. Also in June, Xcel in Colorado filed a Clean Energy Plan Portfolio as part of its 2017 IRP plan that proposed to retire early two coal plants and replace them with 1,100 megawatts of wind, 700 megawatts of solar, 275 megawatts of storage (all paired with solar), and 383 megawatts of flexible natural gas assets. Electric vehicle adoption and integration have risen to the forefront in many jurisdictions, as improvements in technology have dramatically expanded the EV market, states are turning to vehicle electrification to reduce carbon emissions, and utilities are looking for new ways to increase electricity sales. Actions have included statewide EV investigations to adopt foundational EV regulation and policies, widespread electrification programs, and a range of demonstration projects. In January 2017, the three big investor-owned utilities in California (San Diego Gas & Electric, Pacific Gas & Electric and Southern California Edison) filed transportation electrification proposals with the CPUC totaling over $1 billion in investments. In January of this year, the Commission approved 15 of 17 proposed priority review pilots, totaling $41 million, and in May the Commission approved $738 million in investments for standard review projects and two rate design proposals. The May decision is a big boost for the future of the EV market in California, as it allows, among other things, San Diego Gas & Electric to propose a performance incentive mechanism for its residential charging program. Most recently, Southern California Edison in June proposed a four-year, $760.1 million program focused on charging light-duty vehicles in multi-unit dwellings and workplace settings that builds on its Charge Ready Pilot approved in 2016. In March, the Hawaiian Electric Companies (HECO) filed an electrification of transportation strategic roadmap to grow the EV market in Hawaii and move the state closer to its goal of 100 percent renewable fuels in transportation by 2045. Key parts of the roadmap include working with stakeholders to lower the purchase price and educate customers on EVs, working with third parties to facilitate the build-out of charging infrastructure, supporting a transition to electric buses, creating grid service opportunities for demand response participation and smart charging, and ensuring the smooth integration of EVs through grid modernization investments. 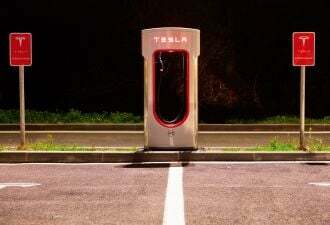 Several states have also begun to investigate the role of utilities in the EV market. In April, the New York Public Service Commission opened a proceeding to consider the role of electric utilities in providing infrastructure, along with rate designs to accommodate the needs of and electricity demand for EVs and electric vehicle supply equipment. In May, the Nevada Public Utilities Commission adopted rules allowing NV Energy to build EV charging stations and directed NV Energy to use $15 million in existing incentive funds to help build out the state's charging infrastructure. In June, the Vermont Department of Public Service requested that the Public Utility Commission open an investigation pursuant to H917 to examine issues related to EVs and EV infrastructure. Those are just a few examples, with developments over the first half of 2018 also popping up in Colorado, Maryland, Michigan, Missouri, Oregon and Pennsylvania. The energy storage market has continued its recent momentum into 2018. Driven by improving economics, a changing grid, and business model and rate design changes, energy storage is increasingly being recognized as a valuable and necessary asset for a 21st century grid. Several states have opened broad rulemakings to refine their energy storage frameworks or policies. In late 2017, the Massachusetts Department of Public Utilities opened an inquiry, with a subsequent straw proposal issued in June, into the eligibility of energy storage systems paired with distributed generation to net meter and whether these facilities could be bid into the ISO New England Forward Capacity Market. In January, California further refined its energy storage framework by adopting rules to govern the use of multiple-use energy storage applications (i.e., storage’s ability to provide multiple value streams to the electricity grid). Also in January, the Public Utility Commission of Texas dismissed a request by AEP Texas North Company to install two battery storage projects on its distribution system and announced it will open a new rulemaking to look more broadly at how utilities can use nontraditional technologies to solve distribution problems and the potential impact on the competitive retail market and Texas’ wholesale market. Most recently, in June, the New York Department of Public Service and New York State Energy Research and Development Authority (NYSERDA) filed a New York energy storage roadmap to comply with Gov. Cuomo's target of 1,500 megawatts by 2025. The roadmap outlines the market-supported policy, regulatory, and programmatic actions necessary to achieve the state’s near-term energy storage installment goals and recommendations for the DPS to consider when designing the energy storage program. We have seen continued conversation about the suitability of the traditional cost-of-service regulatory model as the energy landscape changes. 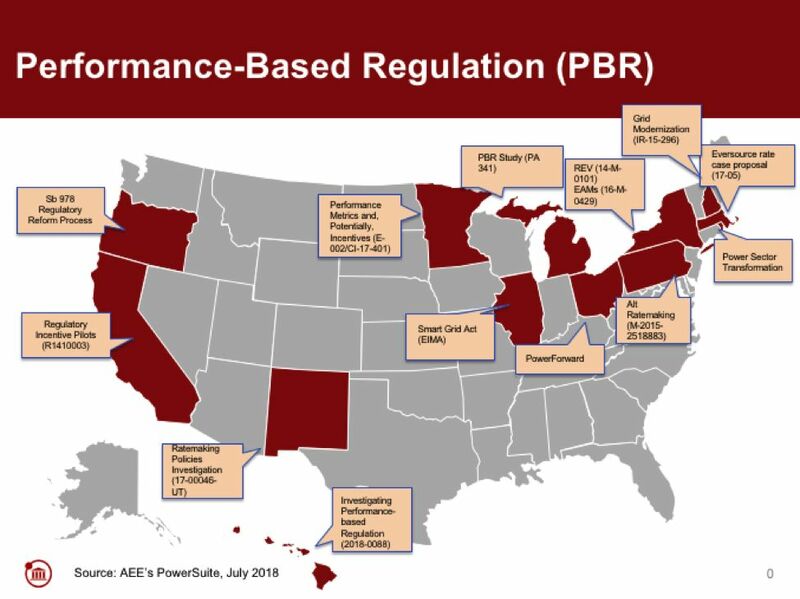 Many states have already begun to move toward a system that better reflects new market conditions, allows utilities to take advantage of the growing service economy, and rewards performance against established goals rather than inputs (see map for activity on performance-based regulation). At AEE, we have been a part of the conversation (see our 21st century electricity system issue briefs on performance-based regulation and optimizing capital and service expenditures) to develop new utility business models that better meet the changing expectations of consumers and society. In May, the Pennsylvania Public Utilities Commission issued a proposed policy statement that invites utilities to explore alternative ratemaking methodologies in their general rate cases to promote state and federal policy goals, provide incentives to improve system efficiency, and allow utilities to adequately recover their costs. The Commission also adopted a motion by Vice Chairman Place that gives utilities the option to consider alternative rate designs, performance incentive mechanisms, decoupling, and demand-based and time-of-use pricing. In April, the Public Utilities Commission of Hawaii opened an investigation into performance-based regulation (PBR) policies for HECO, specifically focusing on aligning utility incentives with performance on desired outcomes, such as increased renewable energy, lower cost, and improved customer service. And in June, National Grid in Rhode Island submitted a settlement agreement with Commission staff, the Office of Energy Resources, and several other parties that, if approved, would establish new performance incentives for system efficiency and integration of renewable energy. The settlement also includes, among other things, a commitment by National Grid to make refinements to the business case for an advanced metering functionality roll-out, the adoption of data access rules, approval of $13.6 million in grid modernization investments, and a three-year EV initiative. In December, based on the Smart Grid Policy Act of 2010, and following a multi-year stakeholder process, the Maine Public Utilities Commission designated Central Maine Power and Emera Maine as non-transmission alternatives coordinators, in order to develop cost-effective substitutes for traditional transmission projects in the Pine Tree State. As a result, in June the utilities filed recommendations for a rate incentive proposal that would eliminate the existing incentive for them to favor transmission and distribution investments over non-wires alternatives. In April, staff of the Missouri Public Service Commission submitted a report in the Commission’s comprehensive modernization proceeding with recommendations to develop a more detailed analysis on the needs, costs and benefits associated with distributed energy resources and the development of an integrated distribution system planning process. Following the report, the Commission issued for comment draft rules regarding the treatment of distributed resources to facilitate a more holistic distribution system planning process. 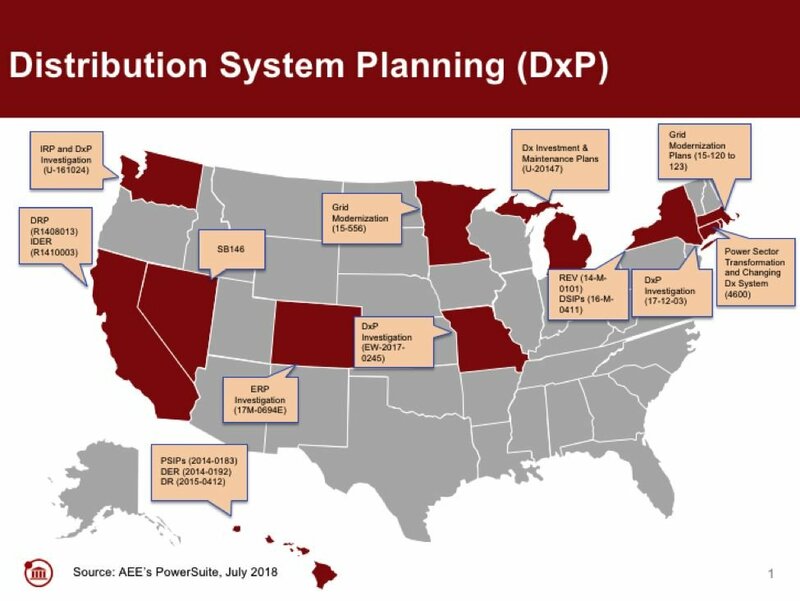 Also in April, the Minnesota Public Utilities Commission staff issued a report that proposes draft integrated distribution plan processes for the state's utilities. Filing requirements differ by utility but include: 1) planning objectives, 2) processes for developing distribution plans, including stakeholder engagement, 3) baseline distribution system, distributed energy resource (DER) deployment, and financial data requirements, 4) hosting capacity and interconnection requirements, 5) DER futures analysis, 6) long-term distribution system modernization and infrastructure investment requirements, and 7) non-wires alternatives analyses. 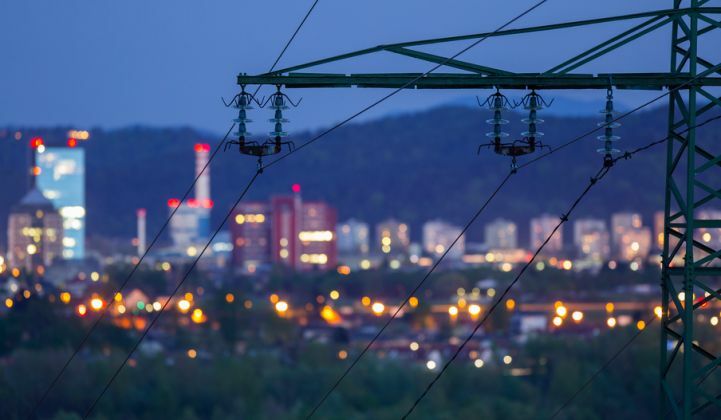 Finally, in May, the Connecticut Public Utilities Regulatory Authority set the scope of its distribution planning process. Specifically, the process will cover the key cost drivers of maintaining and modernizing the distribution system, how demand and consumption patterns are changing and how distribution system planning can change to address these needs, and the current state of the grid and what is needed to optimize the grid of the future. New technologies — especially the rise in customer-sited distributed generation such as rooftop solar — and the rising differential between average and peak demand in many states and service territories have led utilities to propose new rate designs that better align with the changing energy landscape. Specifically, states have been looking to more sophisticated rate designs that send price signals to customers that align with public policy goals. 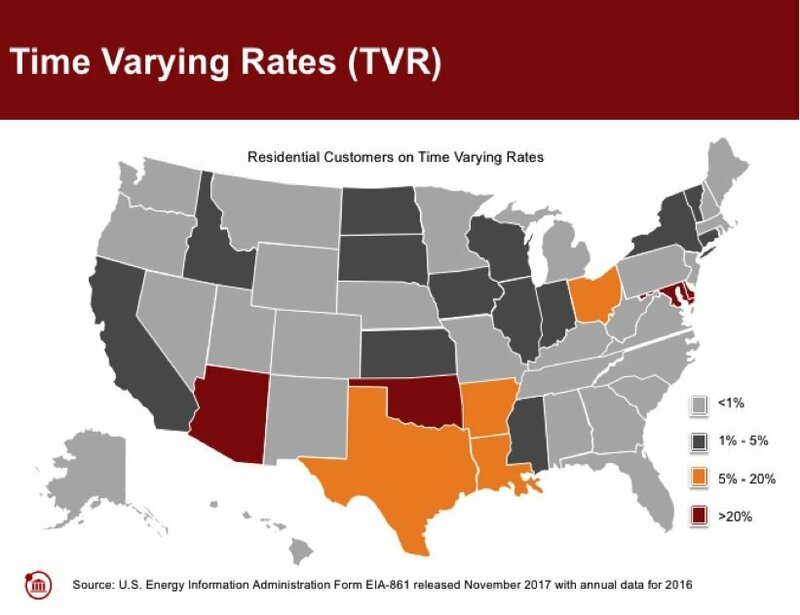 Just before the new year, the three investor-owned utilities in California (Pacific Gas and Electric, San Diego Gas and Electric and Southern California Edison) all proposed plans to move to default residential time-of-use rates, albeit on a different time horizon than originally planned by the Commission. An earlier decision ordered the utilities to move to default time-of-use rates by 2019; however, not all utilities followed suit (and the Commission subsequently approved alternative rollout plans in May). Pacific Gas & Electric proposed a preferred October 2020 roll-out, saying it would allow it to conduct a less rushed and more thoughtful marketing campaign. Southern California Edison proposed a 15-month transition plan to move customers to the default time-of-use rate, starting in October 2020 — asking for a later start to allow for replacing an obsolete billing and customer care system with a modern platform before implementing a new rate design. Finally, San Diego Gas & Electric proposed a 10-month migration (marketing, education, and outreach) plan to move customers to the default time-of-use rate starting in 2019. In one of the more innovative rate design pilots developed to date, the Minnesota Public Utilities Commission approved Xcel Energy’s two-year residential time-of-use rate design pilot in May. The pilot will be an opt-out program to be rolled out as early as 2020 in two communities in the Minneapolis area for a maximum of 10,000 customers including deployment of advanced meters for participants. The pilot will include three different rates — an on-peak rate (average of 23.82 cents per kilowatt-hour), a mid-peak rate (average of 11.07 cents per kilowatt-hour), and an off-peak rate (average of 5.68 cents per kilowatt-hour). Net energy metering (NEM) has been widely successful in spurring the adoption of distributed solar across the country. However, as the number of NEM customers increases, pressure has been building in various jurisdictions to consider alternative rate designs and successor tariffs for NEM customers. Over the past couple of years, we have seen several states take different approaches to successor tariffs to NEM, including reductions in net metering rates for exported electricity and development of more granular methodologies for determining the value of distributed generation on the grid. This year, we are seeing much the same thing, with mixed results for customers. In March, NorthWestern Energy in Montana filed a cost-benefit analysis, prepared by Navigant Consulting, calculating the value of solar energy put back on the grid at $0.04 per kilowatt-hour, significantly lower than the $0.12 per kilowatt-hour that NorthWestern Energy currently credits customers. 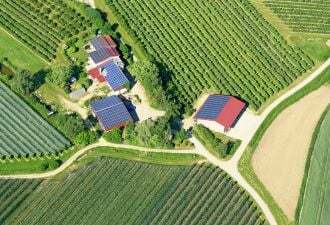 NEM advocates, including distributed solar companies and their customers, will likely contest this assessment in the utility’s next rate case. In Arizona — long ground-zero in the NEM debate — an Administrative Law Judge issued a recommended decision in April in both Tucson Electric Power (TEP) and UNS Electric’s solar rate cases, which would establish solar export rates (9.64 cents per kilowatt-hour for TEP and 11.5 cents per kilowatt-hour for UNS Electric) for NEM customers, with these rates reset in the future based on a five-year average of utility-scale solar generating costs (with decreases capped at 10 percent per year and new customers locked into their rates for 10 years from interconnection); also recommended was a new $2.33 monthly meter fee for residential customers with solar. After a backlash from solar advocates, the Commission has still not voted on the recommended decision. There have been actions to reassess NEM in other states as well, for example in Idaho, where the Public Utilities Commission announced it will open a new docket to study the costs and benefits of net metering on Idaho Power's system (including all net-metered assets and not just on-site solar), proper rates and rate design, and compensation for net excess energy provided back to the grid. Also, in April, the Michigan Public Service Commission approved a new residential distributed generation tariff that requires new NEM customers to purchase energy from the grid at the retail rate but receive credit for excess electricity generated only at the utility avoided cost rate. The new tariff directly resulted from a February 2018 legislatively mandated study on the costs and benefits of distributed generation. A few other states are investigating NEM frameworks that are structured to account more precisely for the value that distributed energy resources (DERs) provide to the system — both locational and temporal — to address concerns about impacts on non-DER customers without depriving DER customers and the system as a whole of the value they bring. (See AEE Institute’s issue brief on Rate Design for a DER Future.) Most notably, New York has been deep in the weeds investigating a “value stack” methodology that moves beyond some of the aforementioned transitional net metering-style rate designs. New York Commission staff is expected to issue a white paper by the end of July with recommendations on a successor compensation methodology. Energy efficiency has undergone significant changes in response to developments in technologies, markets and public policies, with states continuing to see its value. Energy efficiency is most commonly thought of as ways to reduce energy use relative to traditional technologies, such as LED lighting and high-efficiency appliances and heating and cooling equipment. But today, energy efficiency can be accomplished through a variety of means, including the use of sophisticated energy management systems, internet-connected thermostats, and data analytics. In April, New York Gov. Cuomo announced a new energy efficiency target, reducing energy consumption by 3 percent of annual utility sales by 2025 — a 40 percent acceleration of energy efficiency compared with business as usual. In May, the CPUC approved new rolling energy efficiency business plans through 2025 for California’s eight program administrators, including the large investor-owned utilities. In June, Ameren Missouri filed a $550 million demand-side management portfolio and plan through 2024 that, if approved, would be the largest energy efficiency program in Missouri history. However, in one special case, a state’s energy efficiency efforts were put on ice. In January, the Kentucky Public Service Commission issued a final order discontinuing all of Kentucky Power's demand-side management (DSM) programs except one, totaling about $2 million, targeting low-income customers, until there is shown to be need for additional generation to meet demand. The region has been in a sustained economic decline and the cost of Kentucky Power's DSM programs has increased from $0.51 per month to $10.61 per month for average customers because of a 2013 decision allowing Kentucky Power to acquire a stake in a large coal plant provided it increased DSM spending to at least $6 million in 2018 and beyond. As renewable energy has become more competitive on price and more corporations have set sustainability targets, large customers are looking for ways to power their operations with 100 percent renewable energy. To give these customers the renewable energy they want, utilities in vertically integrated markets are developing new direct access programs and renewable energy tariffs. In January, Public Service Co. of New Mexico filed an application, which was approved in March, for three power-purchase agreements — 50 megawatts of wind power and 1 megawatt of storage from Casa Mesa Wind for 25 years, 166 megawatts of wind from Avangrid Renewables for 20 years, and 50 megawatts of solar from Route 66 Solar Energy Center for 25 years — to power Facebook’s data center in Los Lunas through a special services contract. In its approval, the Commission cited the various benefits of the special contract, most notably $72 million in investment for New Mexico from Casa Mesa Wind, $75 million for the Route 66 Solar Energy Center, $500 million for the Avangrid Renewables project, as well as $1 billion for the data center itself. Also in January, Duke Energy Carolinas and Duke Energy Progress jointly filed a petition for a 600-megawatt Green Source Advantage Program in North Carolina, meeting HB 589's requirement to develop a renewable energy program for the state's military, University of North Carolina System, and large nonresidential customers. In March, the Virginia Corporation Commission approved Dominion Energy’s proposed RF tariff, targeting commercial and industrial customers for a five-year period. The tariff will allow Schedule RF customers to pay for and receive the environmental credits associated with new renewable energy that is developed for their incremental energy needs, with the remaining output used as a system resource. In May, the Oregon Public Utilities Commission opened a new proceeding to address Portland General Electric Company's proposed green tariff filed in UM-1690, which would allow large businesses and municipal customers to source their energy from new renewable sources under five, 10, 15 or 20-year contracts. Finally, in June, Ameren Missouri, Commission staff and several other parties filed a non-unanimous stipulation (subsequently approved) that adopted a voluntary renewables program open to large customers with at least 2.5 megawatts of peak annual demand and any governmental entity regardless of size. Customers will be able to subscribe for up to 100 percent of their load for a 15-year contract at a fixed price based on the wholesale market price in that month. This post originally appeared on blog.aee.net and was republished with permission from Advanced Energy Economy. Keep up to date on all regulatory action with a free trial of AEE's PowerSuite.